The University of Newcastle is a comprehensive institution with two main campuses in Newcastle (Callaghan campus) and the Central Coast (Ourimbah campus). As a student at UON, you will choose from a wide variety of courses and become immersed in our diverse community and beautiful natural setting. Read our International Undergraduate Study Abroad Guide for more information. AT UON, you will meet not only Aussies, but also students from around the world. From a total student population of over 35,000, around 7,500 students have come to us from over 100 countries outside Australia. You can meet people from every continent and walk of life. Newcastle itself is one of the most liveable cities in the world. Its thriving harbour is the economic hub of Newcastle and the Hunter Valley region. 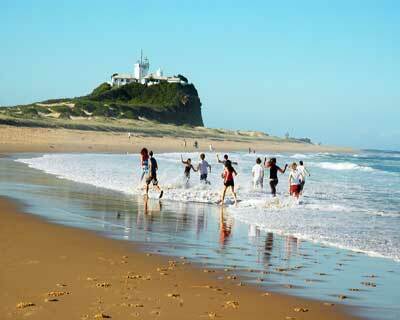 In addition to a spectacular coastline and surf beaches, Newcastle has excellent cafes and restaurants, bars and pubs, boutique shopping and a diverse arts scene. Newcastle is also perfect for students wishing to spend their free time travelling to Australia's other must-see destinations. It's around two hours from Sydney, one hour from the Hunter Valley Vineyards, and just off the main coastal highway for exploring Australia's many picturesque seaside towns. UON / Welcome To Newcastle from UON Global on Vimeo.